Do you have an older minivan? Are you thinking about selling it or trading it in for a new one? When is the right time? My Honda Odyssey minivan is 10 years old now with 116,000 miles. I wrote about my minivan before when I discussed how to remove paint transfer scuffs from a car. I know a lot of other families with minivans around this age. When a van is 10+ years old and 100,000+ miles, is it time to replace it? Isn’t this the time when repair bills get out of control and we should just get a loan for a new one? 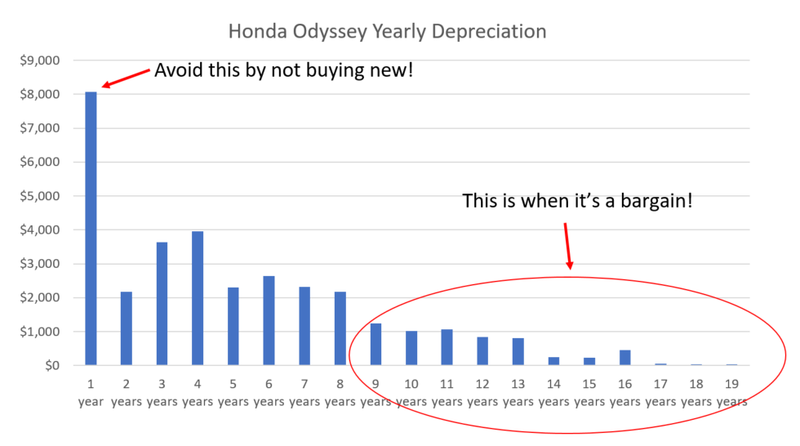 A lot of people want to know when to sell a minivan, so I thought I’d look at the numbers. Depreciation is the loss in value of an item over time. Homes generally appreciate (go up in value) over time. 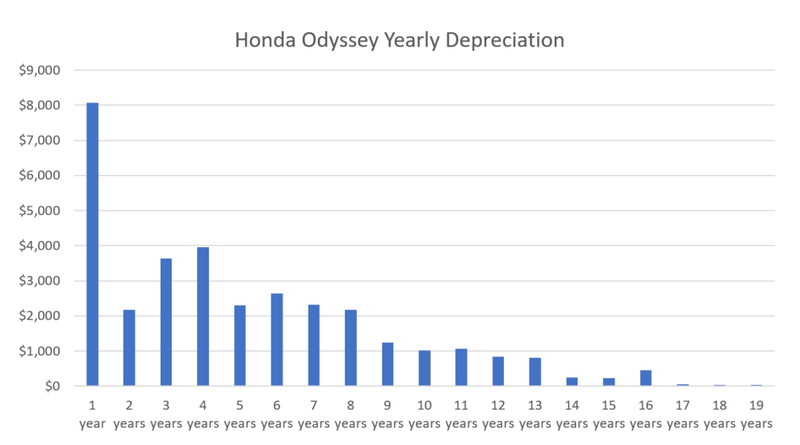 Cars (and pretty much everything else) depreciate over time. Each year that you own a car, it’s dropping in value, and it’s like you’re throwing money out the window as you drive it down the road. Depreciation varies dramatically based on the age and mileage of a car, though. 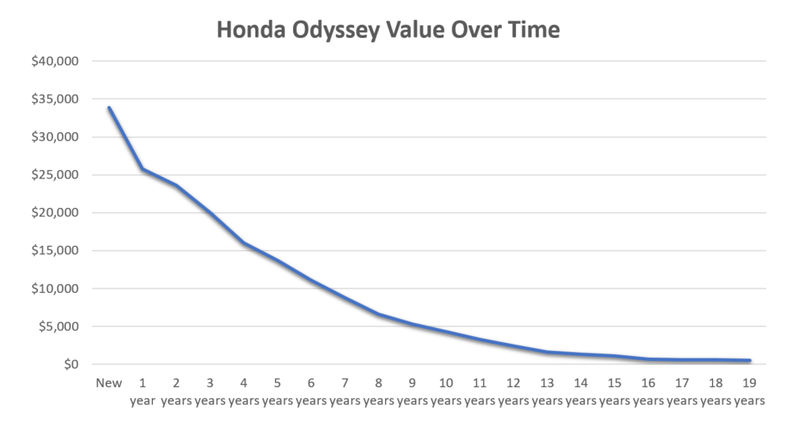 Let’s take a look at the depreciation number on a Honda Odyssey. I live very close to a Honda plant and it seems like every family around here owns a Honda Odyssey. DON’T BUY A NEW VEHICLE. The depreciation in the first year or two is ridiculous. 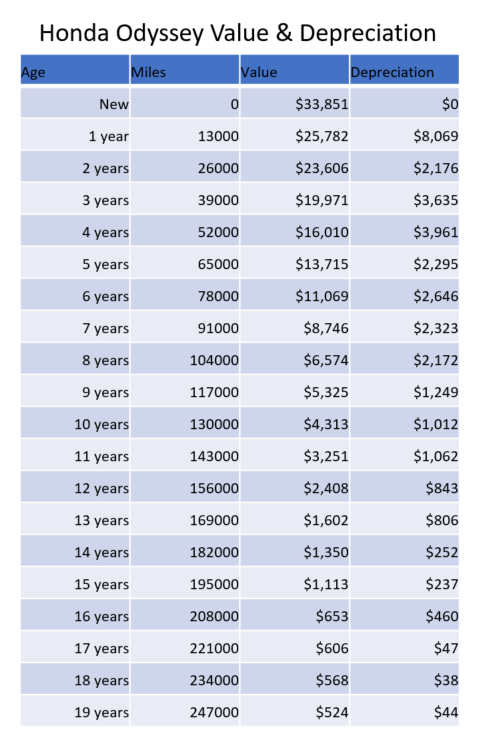 $8,000/year in depreciation is $150/week or $666/month that you’re throwing out the window! Never buy a vehicle younger than 1-2 years old and 25,000+ miles. Years 2 through 8 cost around $2,000-3,000/year. These years are much less expensive but still not cheap. Over 9 years and 100,000 miles is a bargain! If you have a running minivan around this age (like I do), DON’T GET RID OF IT! It’s costing you $1,000 or less in depreciation per year. That’s so cheap! This is the big question that everyone asks! Isn’t it cheaper to buy a new car than deal with all of the repairs? When I hear folks complaining about the repair bills on their older cars, many of the bills are really maintenance, not repairs. 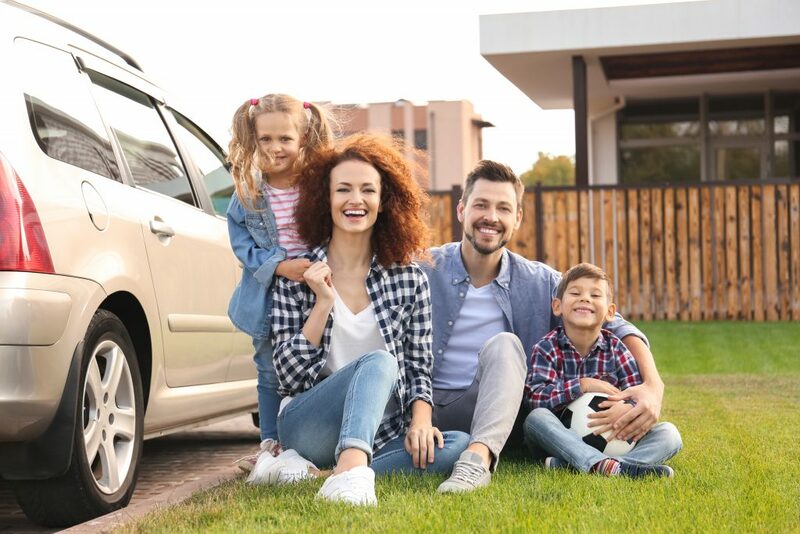 Maintenance is part of owning a car and needs to be done at all ages. Of course, there are a few expensive maintenance items that are due around the 100,000-mile mark, but I believe it’s worth it to do them. I think you get the idea. Things that are broken are repairs. Things that are expected to be replaced over the life of a car are maintenance. Are Your Repairs Exceeding Your Savings In Depreciation? Will my repair bills exceed $2,000/year for the next several years? I can pretty confidently say that the answer to that question is NO for me and most people with vans this age. Even if I had one REALLY bad year with $3,000 in repairs (which would take a LOT of broken parts or maybe one replaced transmission), my bills would still be likely to stay under an average of $2,000/year. Now, recall that I’m discussing repairs, not maintenance. It would not be unusual for my total car shop bills to exceed $2,000 in a year if I bought tires for $800 and needed a timing belt replaced for $600. That doesn’t mean that my repair bills for that year exceed $2,000. 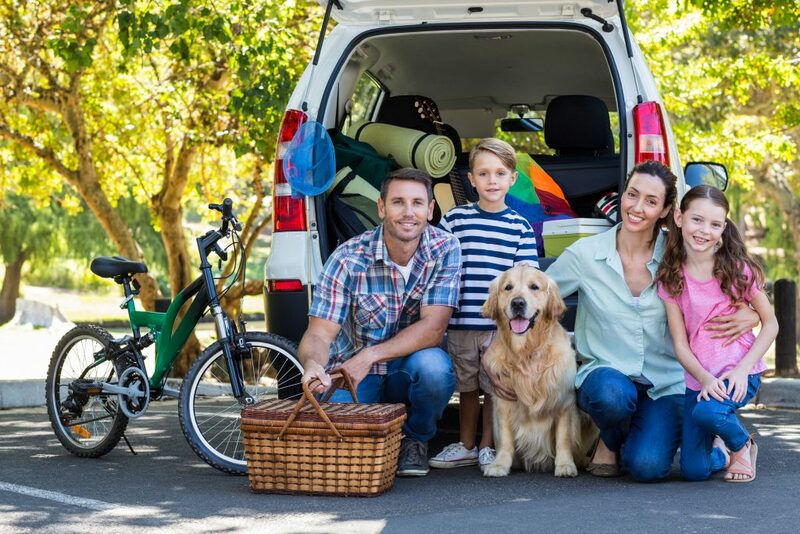 When Is the Best Time to Sell a Minivan? So what’s the answer to our original question? 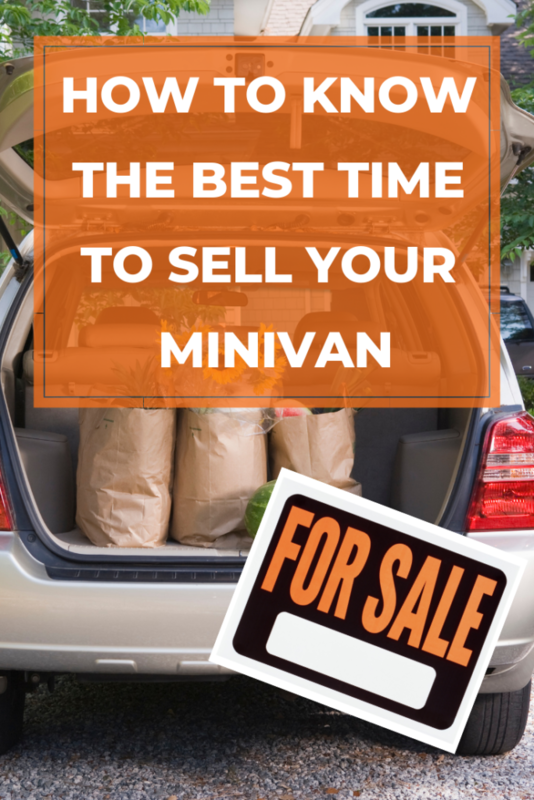 When is the best time to sell a minivan? An insurance company totals it in an accident (or accident repair costs are excessively large). It becomes unrepairable in some way, according to a reputable mechanic. You want to replace it AS A LUXURY and you’re fully financially prepared to do that. What if I Just WANT a New Minivan? If you WANT a new minivan before your old one is falling apart, that’s fine. Just realize that it’s a VERY EXPENSIVE luxury purchase. It’s NOT a practical financial decision. You should also have saved up enough to pay cash for the car. Taking a loan for a depreciating item is risky unless you have the cash to pay it off at any time. Will I Be Trading In My Minivan? Nope. I love a good deal and I know that my van is a great bargain right now. Besides, I have many things I’d rather spend money on like travel and fun activities with my kids! What do you think? Are you driving an old minivan these days? 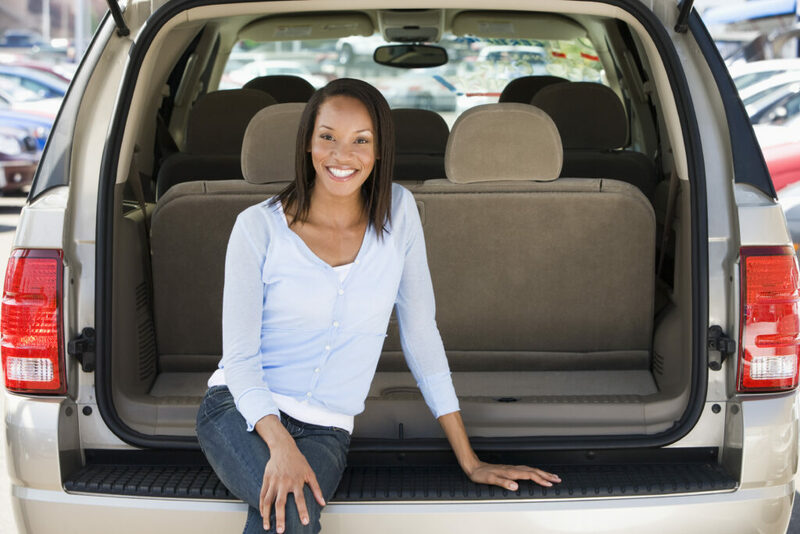 Are you planning to sell a minivan soon?